Walking distance to some of the top Budapest sights. All this for very affordable prices. 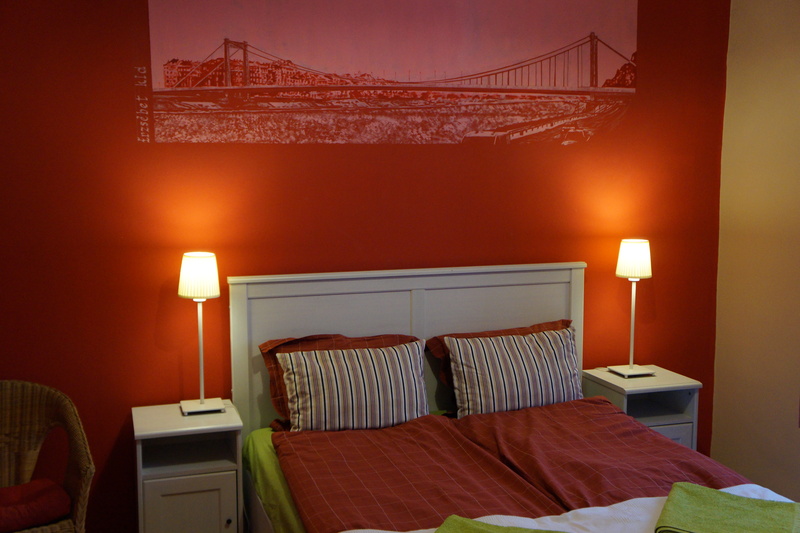 Origo Hostel is in a central location in a safe part of the city. Very close to the River Danube, the Chain Bridge, the magnificent Parliament Building and Liberty Square. The newest pedestrian zone starts here. You will be able to relax and feel comfortable in the cosy atmosphere of our colourful rooms. And we are not a party hostel! Everybody gets a private key, there is no lock-out. Cancellation is free of charge 48 hours prior to arrival up to 3 nights booking. For reservation from 4 nights booking one week prior to arrival is free. In case of late cancellation or non-arrival the hostel keeps the right to charge you as follows: one night room rate will be charged up to 3 nights booking. 3 nights room rate will be charged from 4 nights booking. Wherever you are, take the red metro (line 2) and get out at Kossuth square. ORIGO is just a 2 minute walk away. When you get off the Kossuth square metro stop, turn right and go about 15-20 meters. At the corner turn right again to Nador street. From there walk 50-60 meters and you will find Origo Guesthouse right next to Little Irish Caffee. - Get on the repter busz (airport bus) at the terminal and get off at the last stop (Kobanya Kispest). Take the blue line metro (M3) toward pest-kzpont and travel till Deak square. You can change for the red line metro (line 2) and travel one stop till Kossuth square. minutes: cross Erzsebet square and walk till Vorosparty square, from there head north and walk till our Guesthouse on Nador street. - Take the red line metro towards Deli pu. and travel till Kossuth square (4th stop). - Take the blue line metro toward Kobanya-Kispest and get off at Deak square (2nd stop). You can also go till Arany Janos u metro stop and walk 5 minutes from there. - Take the blue line metro (M3) toward pest-kzpont and travel till Deak square (6th stop).